It's #techniquethursday time and this week's technique is masking. This is another super simple technique which has great effects, but also allows you to maximize the ways you can use just one stamp. Perfect for those who are starting out and maybe only have a few stamping in their collection. Masking involves covering up a area that is already stamped and stamping over the top of it. 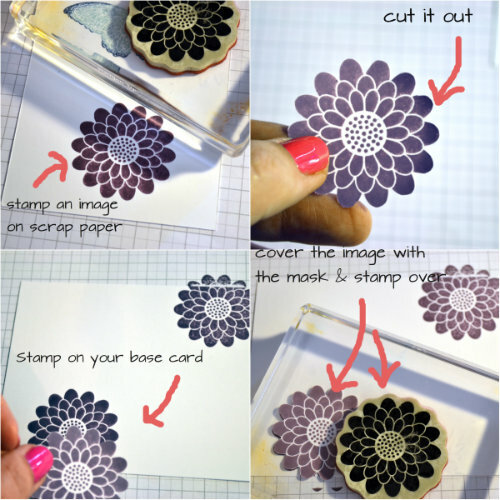 Step one - stamp your chosen image on scrap paper and then carefully cut around it. This is your mask. Step two - stamp the image on the card you are using. Step three - cover the stamped image with your mask and stamp another image over the top of it. Step four - repeat until you are happy with the effect. For the card I made I used three different colours for the masking as I wanted to create a garden effect. 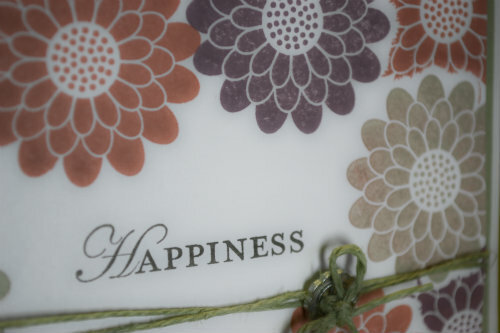 I stamped around the entire outside of the card and then added a sentiment in the centre. A bit of hemp twine and a button embellishment completed the card. If you've not tried masking before give it a go. It's a great way to change the look and feel of stamps you've maybe only used as a single stamp in the past. A couple of extra tips might make it even easier for you. Post-it notes are great mask bases as they are sticky and thin. 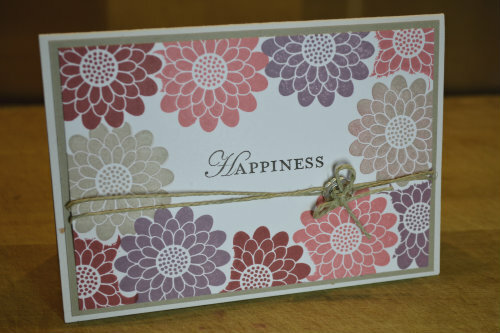 Sadly I didn't have any when I was making this card so I just used scrap card I had available. Also if you like what you do keep the mask with your stamp so next time you can skip straight ahead to step 2.